Posted December 8, 2008 by Tom Thumb. 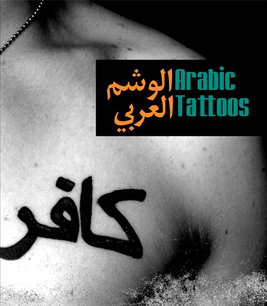 Arabic Tattoos is a book from Mark Batty Publisher that explores the genre of those who choose to push the cultural boundaries by having Arabic script printed on their bodies. With full page colour photos of the tatttoos and thoughtful essays on their calligraphic and cultural implications, we’re taken on a journey through the personal and political as expressed in body art. Accompanying each tattoo is the story of why the subject chose to wear the Arabic script forever. The stories range from those who want to have their lover’s name on their bodies (but so only they will know), to messages of personal philosophy, to those who just want to show a sympathy with the beautiful aspects of Arabic culture buried under the American media propaganda. Occasionally the Iraqis would spot some big tattoos poking out of our uniforms and it would blow their minds. 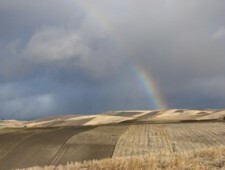 The sub-culture of Arabic tattoos is polemic, however, as the script is considered sacred by Islam, having been evolved for the express purpose of writing the Koran. America has long thrived on reinterpreting other traditions though in its history of immigration and assimilation that is the foundation of much of our modern culture today. That people choose to be tattooed with the Arabic script must surely be the ultimate homage to the language, even if considered profane by the authorities. How far have we gone back to where we discriminate not just against race, but against language itself? Many of those tattooed, however, don’t even know what their Arabic tattoo says. The flowing beauty of the script pleases the eye and they find all the meaning they need in how it looks. A calligrapher notes how well suited Arabic is to the human body as it curves around the contours and can morph to suit every body type. I do not believe roses have to explain their fragrance to the world. Nightmare stories are a balm for the soul. To Drink the Local Water? Is it any better than the bottled water? Does it make you more of a hard-core traveler?